I previously mentioned two fourfolds which are perhaps better combined as an eightfold. 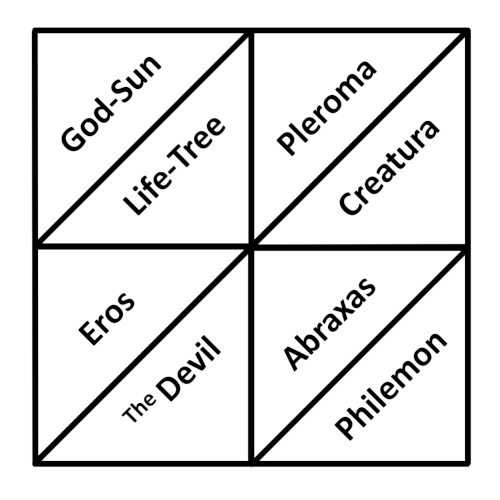 These concepts or entities are from Carl Jung’s “Seven Sermons to the Dead”. 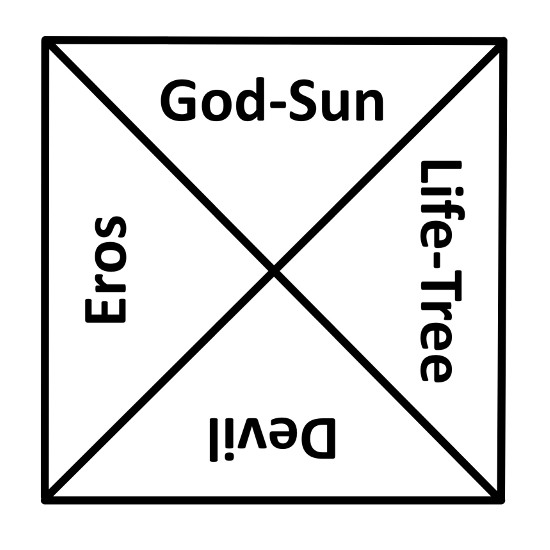 To the left are the “principal gods”, who are said to be in one-to-one correspondence with the “world’s measurements”. What then are these measurements? Are they the coordinates of relativistic Space-Time or something else? 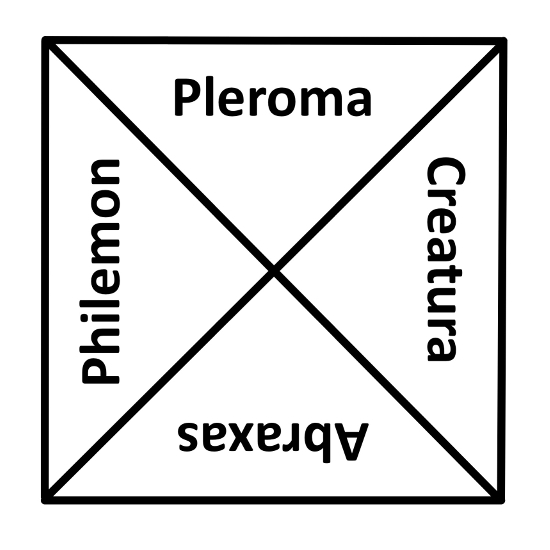 The Pleroma: The spiritual universe as the abode of gods and of the totality of the divine powers and emanations. This entry was posted on March 19, 2019 at 7:46 AM and is filed under eightfolds, Esoteric, fourfolds, Psychology. You can follow any responses to this entry through the RSS 2.0 feed. You can leave a response, or trackback from your own site.